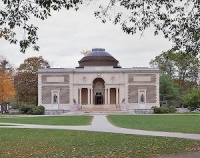 Pictured above: The classic architecture of the Bowdoin College Museum of Art in Brunswick, Maine. A helpful member suggestion from Tommyb led to today&apos;s tips and checklist on how to downsize. There have already been some helpful comments made to the post, please share your thoughts and experiences too! Late August is just about the perfect time to visit the coast of Maine. And when you&apos;re there, you should definitely stop in Brunswick, home to prestigious Bowdoin College. The town has great neighborhoods and a strong cultural life, not to mention the beauty and peace of Maine. The combination makes for a great 5 or 6 month retirement spot. Click on a state to see reviews of 868 great retirement towns, plus capsule summaries of 1,847 active adult communities. Sometimes the most interesting conversations break out in the most unexpected places. Over the past week there has been a terrific back and forth in the Comments section of our "Dueling Carolinas" post. Members have been talking about a retirement preparation course in Asheville, as well as providing suggestions on how to find a good seasonal rental. 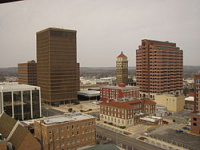 One of the world&apos;s top Mozart Festivals, Frank Lloyd Wright&apos;s only skyscraper, an Arts Center, a stunning Community Center, plus 2 college campuses - you will find surprising treasures in Bartlesville, Oklahoma. The median home sells for about $100,000.